Sony isn't just fighting the new PS3 mod chip in the courts, it's taking the battle to the people. 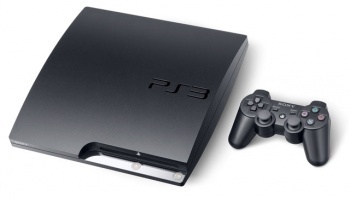 Sony has struck back against users of the PS Jailbreak, a USB mod chip that allowed users to copy and play games from the PS3's hard drive, with a new security update. The 3.42 update is described as including additional security features, and seems to fix the exploit that allowed the PS Jailbreak to work. The update will also be required to access PSN, meaning that the users have to choose between the Jailbreak and going online with their PS3. Richard Leadbetter, of Eurogamer's Digital Foundry, believes that hackers will now attempt to reverse-engineer this, and future, firmware updates in order to produce custom versions that leave the exploit intact. This could mark the start of a firmware "arms race," with Sony and various hackers going back and forth trying to outdo each other. Presumably, Sony has something of an advantage, as every one of its firmware updates will have to be cracked, not just the ones that deal with security. It's naive to underestimate the resourcefulness of hackers though, and it's unlikely that we've heard the end of this.